On his tenth album, Bowie and his cohorts adopted an experimental approach to the recording process. 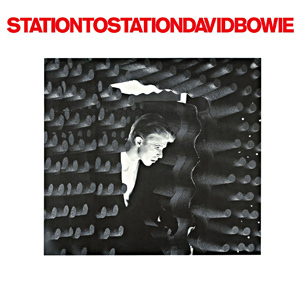 There are a lot of sounds on 'Station To Station' and there is a clear pointer towards the motorik style of the Berlin trilogy. Elsewhere, the funk feel of 'Young Americans' is still evident - on Golden Years and Stay, in particular. As a whole though, 'Station To Station' is sensational. 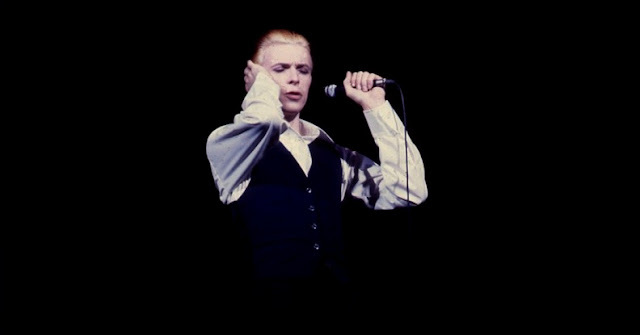 There may only be six tracks, but each one is of as high a quality as Bowie had produced to date and would produce in the future. The title track, which opens the record, is a 10-minute epic that criss-crosses Bowie's recent history and his near-future. 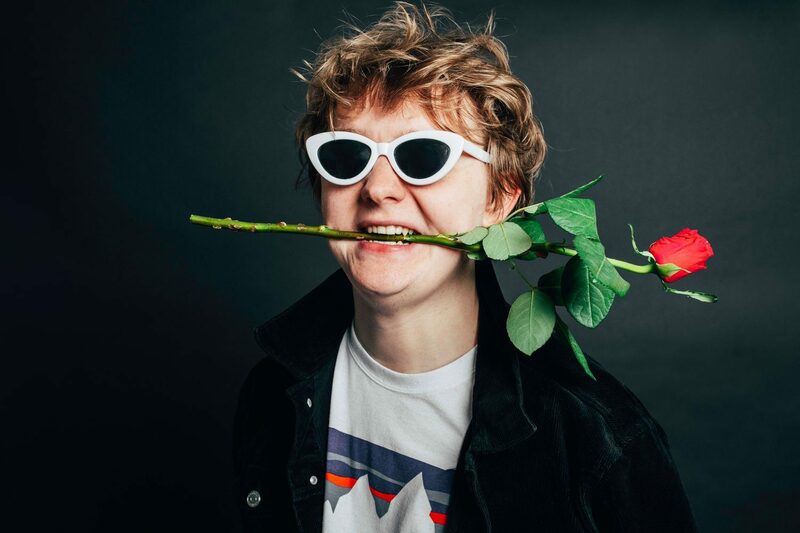 There's a bit of funk in there, some glam rock and a bit of the Krautrock experimentation that would serve him well to the end of the decade. It's a real headphones track, especially during the first half. It's clear that Golden Years was the first track written for the album. It wouldn't have been out of place on 'Young Americans'; TVC 15 was a somewhat strange inclusion musically - the album's most obviously pop moment - but lyrically it was in keeping with the dark undertones of the other tracks, based on a hallucination that Iggy Pop had in which he saw his girlfriend being eaten by the TV set. The darkness and almost surreal nature of the songs can undoubtedly be aligned to Bowie's chronic cocaine use at the time, but like so many such situations in rock music history, the dark times often result in some of an artist's finest work. Word On A Wing was written during the making of the movie 'The Man Who Fell To Earth', a time of "psychological terror", according to Bowie. It was his protection against some of the things happening to him at the time. It's a beautiful song, one of the best ballads of his career. But the very best is saved 'til last. Bowie's take on Wild Is The Wind still rates as one of his greatest moments of all. His vocal is phenomenal and the track as a whole is a thing of awe and wonder. Bowie may have been going through a rather turbulent and disturbing period in his life, but by playing it out on record, he produced a masterpiece. 'Station To Station' is my fave Bowie album because of its depth and candidness. The Thin White Duke - Bowie's newest persona - may have been, in his own words, "a nasty character indeed", but as the muse through which this record was created, he was an extraordinary, and welcome, addition to the Bowie cast. Better wrap those bony fingers around this one rather tightly. Taking this one to my grave too. His best album I think. Still blows me away. Absolutely agree about Wild Is The Wind, just wonderful. It can move me to tears. Talking of which, can't believe it's nearly a year since his death.